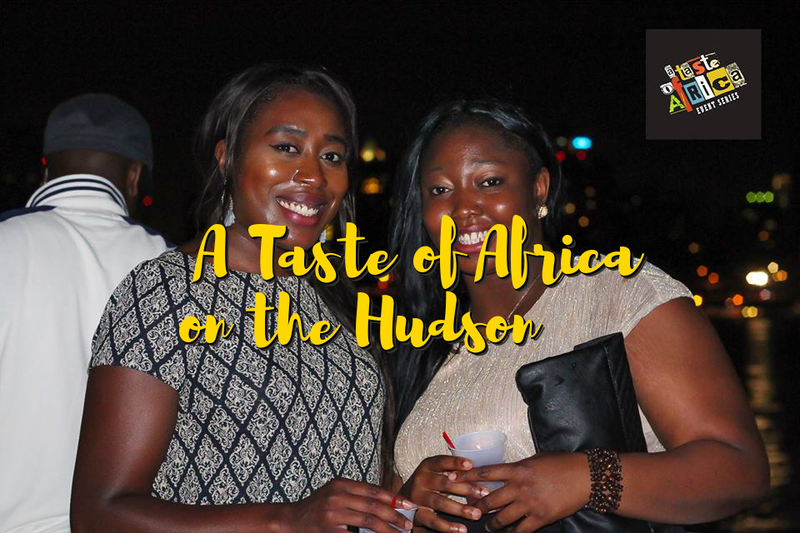 Attend Panla's Taste of Africa Event Series - Summer Soul Series Edition , 6:00 PM - 11:30 PM on Tue, Aug 19 2014 @ Taj Lounge , New York, New York, United States Hello friends, Please join us again for a wonderful evening with friends at Panla's Taste of Africa Event Series on Tuesday August 19th at Taj Lounge. Great Networking+ Food + Music + Dance - come ready to excite your taste buds. 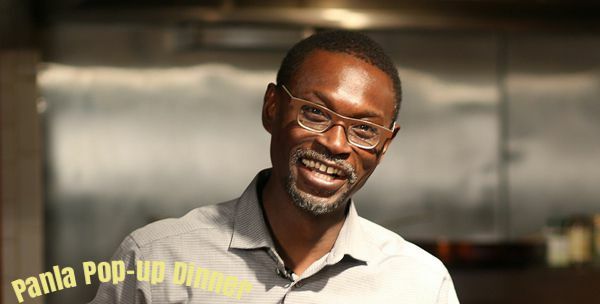 Connect with a cultured, outgoing and professional crowd Where - Taj Lounge - 48 West 21st street by 5th and 6th ave When - Tuesday August 19th Time - 6pm - 11.30pm Promises to be a beautiful evening with friends - food by Panla, Barbara Naadjie and various guest chefs. Happy hour 2 for 1 drink specials before 8pm ( get 2 drinks for the price of one) - food pairing by our chefs and mixologist $10 general admission. 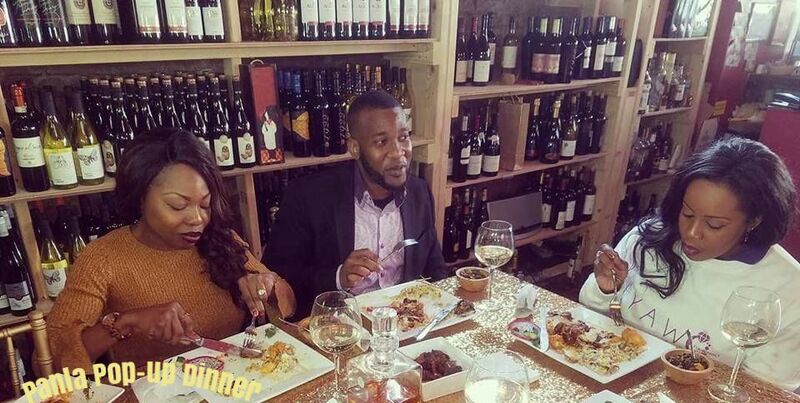 $15 for food served buffet style - come hungry and leave happy. Free admission if you RSVP by Thursday August 7th. email info@panla.com to RSVP. Music (Afrobeats and more) by DJ SM To partner or to participate please contact us at info@panla.com - we would like to hear from you. 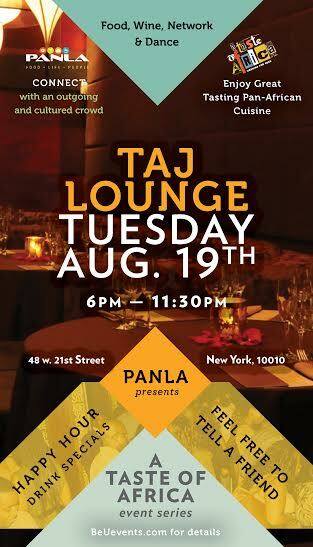 Please join us again for a wonderful evening with friends at Panla's Taste of Africa Event Series on Tuesday August 19th at Taj Lounge. 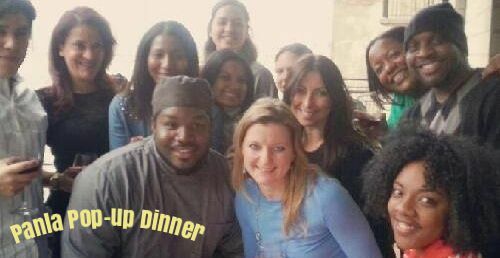 Promises to be a beautiful evening with friends - food by Panla, Barbara Naadjie and various guest chefs. $10 general admission. 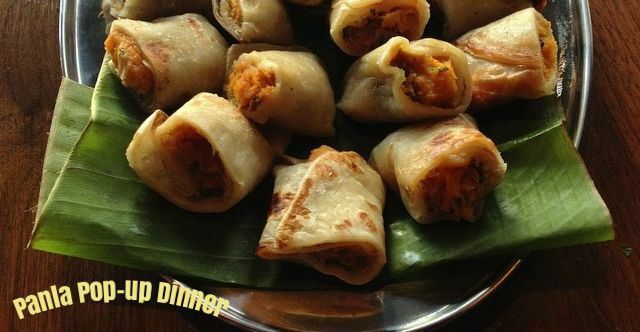 $15 for food served buffet style - come hungry and leave happy. Free admission if you RSVP by Thursday August 7th. email info@panla.com to RSVP. To partner or to participate please contact us at info@panla.com - we would like to hear from you.